THE Welshpool & Llanfair Light Railway has received a £22,800 grant towards a project to create an African train. 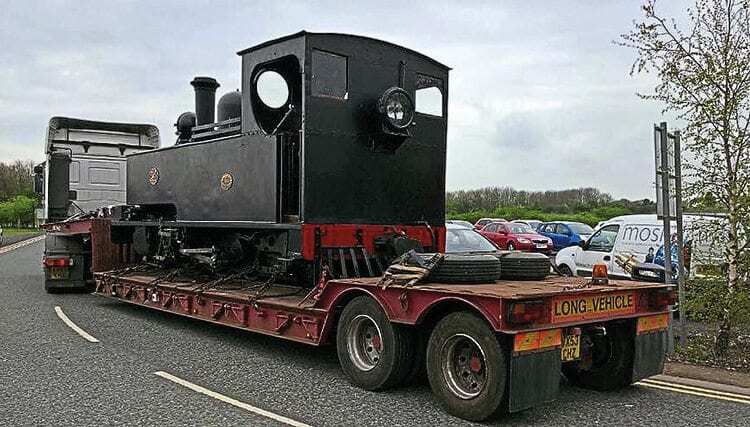 During its heritage era, the railway has regularly looked beyond our shores for locomotives and rolling stock, because it is built to the comparatively rare gauge of 2ft 6in. One source of rolling stock was Sierra Leone, and now the line is celebrating its links with that country. Hunslet 2-6-2T No. 85, built in 1954 for service in Sierra Leone and bought from a scrap dealer by the WLLR in 1975, has been out of use since 2010 when its boiler ticket ran out. For the past five years it has been displayed at the Locomotion Museum in Shildon, where it has been used to promote links with the Sierra Leone National Railway Museum. British Army Colonel Steve Davies, serving in Africa following the civil war, helped set up that museum before later becoming director of the National Railway Museum in York. Now that No. 85’s time in Shildon has ended, the plan is to take the locomotive on a summer tour around the UK, accompanied by a travelling museum exhibition, children’s activities for schools and families, plus interpretation items, and staffed by volunteers from the WLLR. Read more in Issue 228 of HR – on sale now!